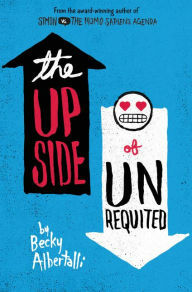 Molly is seventeen and never been kissed, but not for lack of interest. By her reckoning, she’s had crushes on twenty-six guys (only one of them was Lin Manuel), but never managed to even reach the point of rejection: they've never known about her interest. But when her twin sister starts to date, Molly feels abandoned and longs even more for a love of her own. Her sister tries to hook her up with a friend of her girlfriend and Molly is game to give it a try, but is she really interested or just trying to become attached to anyone? At the same time, there’s a guy at work that she seems to click with, even if it shouldn’t work out at all. Perhaps, one of them will be crush #27? And how did she go from no one to a choice between two. And is it really a choice or is she just throwing herself into something for the sake of not being left behind? Albertalli starts off strong with lots of sharp and funny dialog, but when she depletes her ideas within the first fifty pages, I began to get worried. Thankfully, within another fifty pages or so, the writing picks that changes and the story recovers. It all leads up to one of the most romantic scenes I’ve read in a while (about seventy pages before the end). Personally, I would have ended the book on that high note, but the author doesn’t want to leave any unfinished business and, kudos to her, she just about wraps everything up by the end (perhaps too much so). But while I think the pacing was uneven and the whole thing could have been wrapped sooner, there were lots of things that I liked. It was great to have parents who were smart and in tune with their children (and called the kids on their bad choices). I loved the relationship of the two sisters – we haven’t had a good book about siblings in a while. It was nothing earthshattering, but it felt authentic and heartfelt. I loved Molly’s reflections, which transcended the usual adolescent navel gazing and made a number of hard honest self-evaluations. And I loved the relationship she finally settles into, which was direct and honest.